Player 1 dribbles towards the chair in the middle of the key and touches it with their non-dribbling hand. 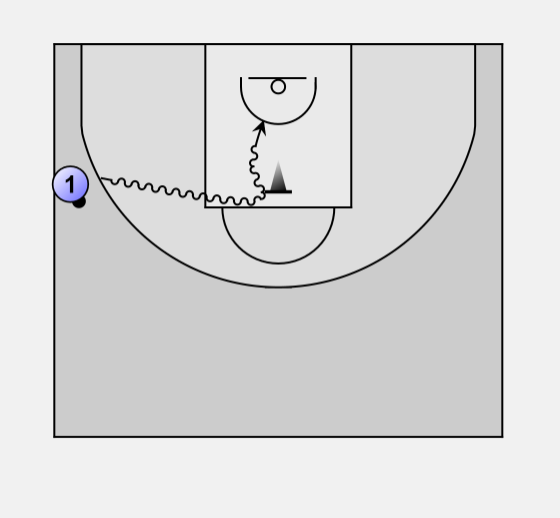 Player 1 then makes a spin or other dribble dribble move and shoots the ball. In the diagram, player 1 should dribble with their right hand (hand furthest away from the basketl).